"Our Homemade Soap Business Has Given Us A Fresh Start in Panama"
When Taquoyah moved to Panama she had no idea she would be starting a homemade soap business, but with a creative mind and seeing a niche, she went all out to make it work. Originally from Oklahoma, Taquoyah moved to Chiriquí just over two years ago after marrying her Panamanian husband. 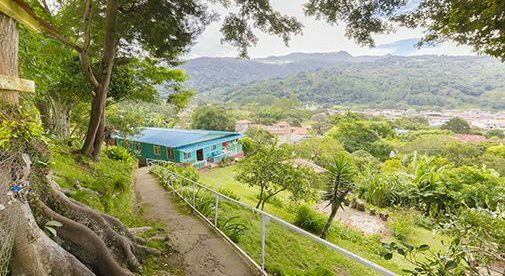 The Chiriqui Province, bordering Costa Rica on the Pacific coast, has become one of the most popular retirement destinations in Panama. It has some of the most spectacular beaches, islands, and mountains in the country, and lush tropical forests, hosting a rich array of flora and fauna, give its inhabitants the perfect backdrop for a natural, healthy, and active lifestyle. However, for Taquoyah it was still necessary to earn an income, so she was immediately on the lookout for opportunities after she arrived. “Inspiration came from my mother in law who is into natural products, and suggested we take this route. After lots of YouTube and Pinterest research, I received training from a friend in Oklahoma City who also has a soap company,” she says. In a short amount of time, the business has boomed. “We have been published in a popular Panamanian magazine, had the opportunity expand our business via Instagram, and can now make shipments nationwide through Panamanian retailers,” says Taquoyah.